It’s that time of year again when we Americans get pleasantly reminded that we ordered 7 boxes of Girl Scout cookies 3 months ago by being presented with 7 BOXES OF GIRL SCOUT COOKIES!!! 😛 It also happens to be in March, just around the time that you start thinking that spring and summer are just around the corner and you should probably get around to working on your beach bod. 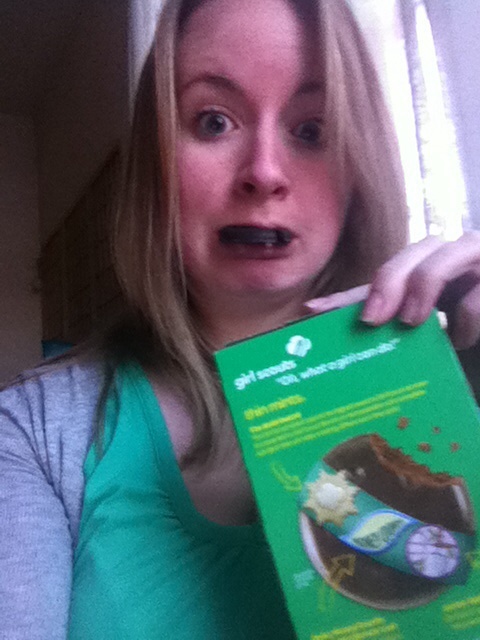 This morning, I ate Girl Scout cookies for breakfast. I admit it. The powerful thing is, I DIDN’T FEEL GUILTY. I didn’t feel like I needed to do extra work at the gym or starve myself for the rest of the day. I just said, well, this is happening! And I’m going to laugh at myself doing it. Enjoy it. But also be choosy. Pretend that you’re the snootiest food connoisseur that simply won’t eat anything that isn’t THE BEST FOOD ON EARTH worthy of indulgence. (For some of you this will be easier to do then for others 😉 After all, your body, the very vessel that allows you to live your life on earth, only deserves the best of the best! Forgive yourself, and quickly!! 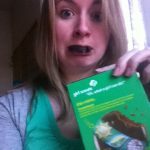 Love yourself through your Girl Scout Cookie diet and laugh at how fun it is to let go. EVERYONE BINGES on SOMETHING that isn’t “good for them” once in a while. So let’s move on to the acceptance piece and just be honest with ourselves and each other. There’s nothing to hide! Contact me if you still struggle with guilt!